This is great!! Just one feature request if at all possible: could you allow the user to customize the keyboard shortcut to invoke the switcher? Awesome extension, disregard my previous remark about Mac OS and the shortcut key. Just fixed it with your proposed solution in reported issues. @bs-harou: could you push the source code of version 1.3 to github? I'd like to contribute and improve this very useful extension but on github I've found only sources of 1.0. Can you add a "Tab Overview" functionality on it? 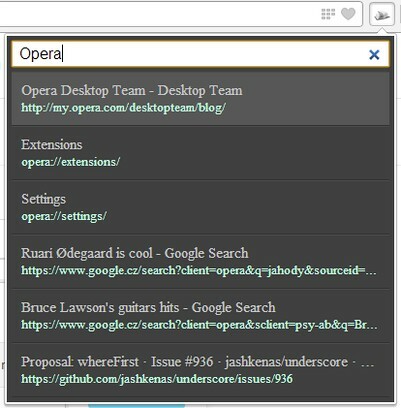 selection of many tabs with ctrl/shift and closing/refreshing selected tabs from context menu. It is basically impossible for me not to give this a 5 star rating based on the screenshot alone!!! That aside the extension deserves 5 stars anyway. One of the features I appreciate most in older (Presto) Opera was the ability to use the panel to locate and switch to tabs based on title search. Your extension has restored this functionality!